u2wanderer.org: U2 Discography and U2 Lyrics ..:: U2 Wanderer.org the U2 Discography and U2 Lyrics Site ::..
U2Wanderer.Org was first put online in April 1995, and for 20+ years now has maintained an online U2 discography, news and lyrics archive. 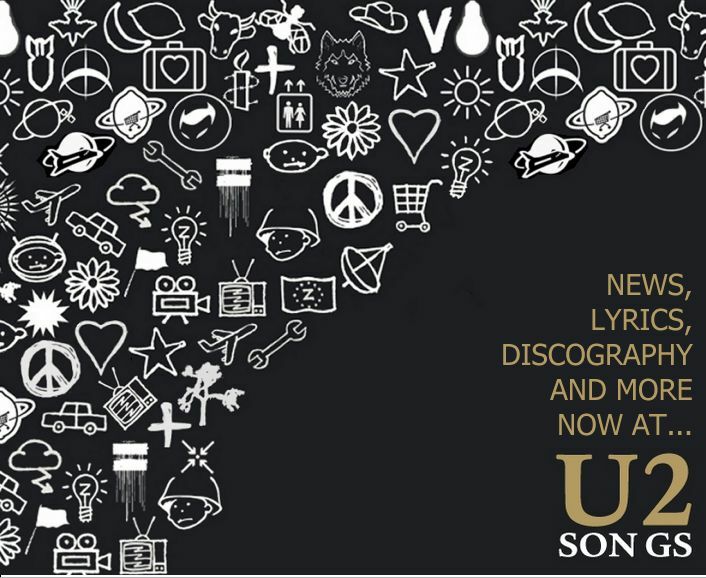 In November 2015 we moved to a new home at u2songs.com. All further updates will be done there. Site © 1995-2015 U2Wanderer.Org. All rights reserved. All images are copyright their respective designers. This website is an informational resource for private use only and is not affiliated with U2, their management company, their record label or any related bodies. The information presented within these pages is based upon information provided by other fans, and U2Wanderer.Org takes no responsibility for any problems resulting from use of the material as presented within.